Eating out can be very expensive, but did you know that there are some restaurants in and around Perth that offer free kids meals. These offers are ususally a 'one free kids meal with one adult meal' combo and some of these deals are limited to certain days of the week, but they are great deals and can save you money - however you look at it, a free meal is a free meal. At the Brooklands Tavern in Southern River kids eat free every Tuesday night. It's a one free kids meal with every adult meal purchased over $20.00 deal and you will find things like chicken kebabs, steak and chips, fish and chips and bangers and mash on the menu. There is a great play area for kids with lots of tunnels and slides that is visible from the restaurant tables. Ramon's at Willow Pond in Canning Vale offer one free kids meal with one adult meal on Tuesday, Wednesday and Thursday nights. Enjoy a meal in the beautiful garden setting and there is a giant chess set and giant draughts set for the kids to play with. The kids menu at Ramon's at Willow Pond includes the usual fish and chips, chicken and chips and pizza, but also includes Beef Teriyaki and Rice or Pasta with Napoli sauce. Each meal includes an ice-cream dessert. The Curry Tree Indian Restaurant in Nedlands offers a one free kids meal with any adult entree and main meal deal on Monday and Tuesday nights. The meal options include butter chicken or vegetarian korma which are mildly spicy but they also offer chicken nuggets, fish and chips or sausage and mash. There is a playroom to keep the kids happy, with a big screen TV, arcade games and a Wii. 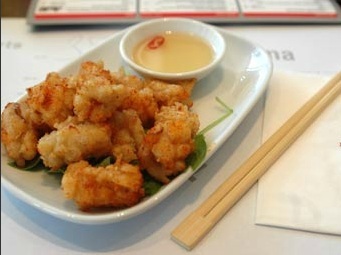 At Wagamama Noodle Bar Restaurant in Subiaco kids eat free when any main meal is purchased. The meals are great, they offer a fantastic 'Mini-Noodlers' menu for kids which includes such things as mini noodles, mini grilled katsu and mini cha han, and all meals come with a fresh orange juice or apple juice. 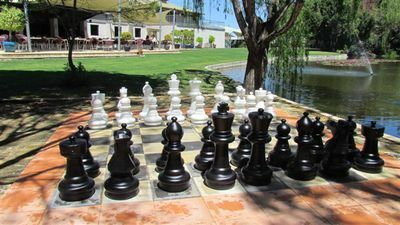 The Mash Brewing Restaurants in the Swan Valley, Rockingham or Bunbury have been offering kids meal deal for a long time. Kids eat free on Fridays, after 5pm, maximum of two kids per adult main meal, and you can choose from dishes like fish and chips, steak and chips and nuggets and chips. There is a dedicated play area for the kids with toys and play stations and you can see this area from the tables. At The Left Bank Restaurant in East Fremantle, kids can eat free on Monday and Tuesday nights. The kids menu includes pizza, chicken parmi, fish and pasta and all dishes come with chips or salad. There are 'Kids Eat Free' deals at the High Road Hotel in Riverton on Tuesday nights. The Bentley Hotel in Bentley offers 'Kids Eat Free' deals on Saturdays between 11.30am and 4pm. 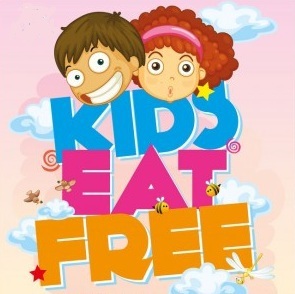 The Albion Hotel in Cottesloe has 'Kids Eat Free' deals at the bistro on Saturdays between 12 noon and 8pm. The Greenwood Hotel in Greenwood has 'Kids Eat Free' combos on Monday nights after 5pm. Check out your local restaurants and you might be surprised to find that they do children's meal deals and even free children's meals too.